• If you enjoy exploring Twin Otter Archive on a regular basis . . .
. . . to support what we do - that would be appreciated. 13 April 2019 Added one image for msn 715. Hope to resume operations shortly - Ian has been diligently updating, now it is up to me to input his data and reformat our pages!! Taking a break. Ian is working away behind the scenes however. 12 January 2019 Added one image for msn 655. 05 January 2019 Added two image for msn 943. 04 January 2019 Continuing to add updated data for many airframes - look for the new colour boxes and the * in the master index. Added two images for msn 943; one image to msn 942; one image to msn 939, and one image to the ill-fated msn 926. 03 January 2019 Added updated data for many airframes - just look for the new colour boxes and the * in the master index. Added three images for msn 954. 21 December 2018 Added updated data for msn 858 and msn 859. Updated data and one image for msn 860. Added one new image to msn 117, and one image for msn 123. 20 December 2018 Added updated data and three images for msn 857. 19 December 2018 Added updated data and three images for msn 851. Added updated data for msn 852; msn 853; msn 854; msn 855, and one image for msn 856. 18 December 2018 Added updated data and one additional image for msn 849 and updated data for msn 850. 17 December 2018 A whole new ball game. Ian and I have decided to revamp this website as it is in a format we enjoy. Erik's website will be the main focus, but this site will be an emergency back up, and also be for those who prefer this format. The contents will be almost the same. Needless to say this will be a lengthy process. In the master index I have marked with a coloured asterisk ** Updated in new format with additional images. Added updated data and three additional images for msn 845; two images for msn 846; two images for msn 847, and one image for msn 848. 09 November 2017 I will no longer be adding new build aircraft to this website - the contents will be gradually shifting over to Twin Otter World. I'm moving on to other projects. The contents of this website will remain up for you to enjoy over the coming months at least, it just won't be updated. Actually, on 07 March 2018 added one new image for msn 86, and two for msn 279. 02 November 2017 Adding the latest PDF data updates over the next few days. These will be msn 37; 40; 244. Erik continues to make the big changeover to Twin Otter World, adding everthing that we have on this website. By doing so, he will be able to update in a much simpler fashion. It is quite complicated the way we have Twin Otter Archive set up - technology has changed, and we must too! 22 October 2017 Added one image for 296, and pages for 965, 966 and 967. 18 October 2017 Added one image for 110. 30 September 2017 Added the final five images to round out the month, 831; 857; 944; 951, and 960. 29 September 2017 Added one image each for 758, and 824 . 26 September 2017 Added one image each for 509; 726, and 549. 25 September 2017 Added one image each for 355; 382; 493, and two for 371. 24 September 2017 Adding the latest twenty-one images over the next week or so. Added one image each for 37; 40; 228; 287, and 296 today. 11 September 2017 Added one image for 706. 05 September 2017 Added one image for 94. 27 August 2017 Added links to TwinOtterWorld. 11 August 2017 Added one image for 106. 16 July 2017 Added one image each for msn 467; msn 43, and two images for msn 279. 07 July 2017 added one image each for msn 952, and msn 80. Just a heads up to you all. I am now in "Summer Mode" and will be updating DHC-2.COM a bit less than I normally do, same goes for DHC-3archive.com and TwinOtterArchive.com. Happy Summer to everyone. Normal service resumes in September. 04 July 2017 Added one image for msn 527, and msn 674. 03 July 2017 Updated stats. Added one image each for msn 78; msn 337; msn 265, and msn 308. 20 June 2017 Added one image for msn 226. Also added updated PDF's for msn 857; msn 874; msn 900; msn 915; msn 924; msn 925; msn 929; msn 930; msn 934; msn 936, and msn 937. 13 June 2017 Added a page for 964. 11 June 2017 Added one image each for msn164; msn 166; two images for msn 176, and one for msn 177. 10 June 2017 Added one image each for msn 86; msn 94; msn 99; msn 151; msn 160, and two for msn 163. 09 June 2017 Added one more image to msn 915. 08 June 2017 Added one image for msn 915; and msn 75, and two images for msn 78. 06 June 2017 Added one image each for msn 35; msn 45, msn 46; msn 64, and msn 959. 05 June 2017 Adding the latest eighteen images over the next week. One image each today for msn 12; msn 27, and msn 29. 01 June 2017 Added a page for msn 963. 31 May 2017 Added one image each for msn 748; msn 778; msn 779, and two images for msn 794. 29 May 2017 Added one image each for msn 683; msn 698; msn 701; msn 721, and msn 726. 28 May 2017 Added one image each for msn 636; msn 643; msn 647; msn 652, and msn 658. 27 May 2017 Adding the latest twenty-one images over the next week. One image each today for msn 617; msn 624; msn 626, and two images for msn 629. 24 May 2017 Added one image each for msn 656, and msn 738. 22 May 2017 Added one image each for msn 151, and msn 602. 20 May 2017 Added one image each for msn 857; and msn 109. 18 May 2017 Added one image for msn 313; three images for msn 120, also added one image each for msn 75; msn 77; two images for msn 78, and two images for msn 86. 16 May 2017 Added one image each to msn 61; msn 64; msn 68, and two images for msn 72. 15 May 2017 Added one image for msn 958; one image for msn 444, and one image to msn 60. 13 May 2017 Adding the latest twenty-one images over the next week. One image each today for msn 8; msn 29; msn 43, and msn 51. 06 May 2017 Addedone image each to msn 787; msn 783; msn 839, and msn 748. 05 May 2017 added one image for msn 43. 01 May 2017 Updated stats. 24 April 2017 Added the last of this batch, one for msn 951, and one for msn 955. 23 April 2017 Added one image for msn 941, and two for msn 945. 20 April 2017 Added one image each for msn 496; msn 687; msn 709, and msn 900. 17 April 2017 Added one image for msn329; two for msn 330; and one each for msn 334; msn 413, and msn 440. 13 April 2017 Added one image each for msn 308; msn 311; msn 313; msn 321, and msn 325. 12 April 2017 Adding the latest twenty-five images over the next week. One image each today for msn 37; msn 60; msn 151; msn 221, and msn 297. 10 April 2017 Added a page for msn 961 and msn 962. 04 April 2017 Added one image for msn 307. 01 April 2017 Updated stats. 29 March 2017 Added one image for msn 475. 21 March 2017 Next up will be msn 507; msn 513; msn 516; msn 518, and msn 527. 19 March 2017 Added one image each for msn 435; msn 485; msn 494; msn 499, and msn 502. 17 March 2017 Added one image for msn 407, and three for msn 434. 16 March 2017 Added one image for msn 372. 15 March 2017 Added one image each for msn 358; msn 444, and msn 381. 12 March 2017 Adding the latest twenty-one images over the next few days. Added one image for msn 342; two for msn 347; one for msn 355, and msn 357. 08 March 2017 Added one image each for msn 238; msn 340; msn 492; msn 623, and msn 803. That finishes off the latest batch of photos. 07 March 2017 Added the last of the updated PDF's today; msn 655; msn 658; msn 696; msn 721; msn 726; msn 766; msn 802; msn 831, and msn 841. 06 March 2017 Adding one image for msn 182; two for msn 183; and one each for msn 184, and msn 199. 05 March 2017 Added one image for msn 162; two for msn 164; and one each for msn 17; msn 174, and msn 176. Added updated PDF's for msn 382; msn 447; msn 454; msn 521; msn 524; msn 533; msn 556; msn 593; msn 613, and msn 636. 03 March 2017 After a short break, playing "catch up" - added one image for msn 151; two for msn 153, one for msn 154, and one for msn 158. 27 February 2017 Added one image for msn 784. 23 February 2017 Added updated PDF's for msn 15; msn 90; msn 94; msn 106; msn 164; msn 320; msn 321; msn 357; msn 368, and msn 371. 13 February 2017 Adding updated data for twenty-nine airframes, over the week or two. 11 February 2017 Added one image for msn 802, and msn 923, completing the latest batch. 10 February 2017 Added one image for msn 695; two for msn 696, and one for msn 726. 09 February 2017 Added one image each for msn 27; msn 447; msn 475; msn 562; msn 588, and msn 660. 07 February 2017 Added one image each for msn 296; msn 368; msn 369; msn 410: msn 414, and msn 429. 07 February 2017 Added one image each for msn 15; msn 99; msn 103; msn 270, and msn 287. 04 February 2017 Added one image for msn 792; two images for msn 794; one each for msn 796, and finally, one for msn 799. Adding the latest twenty-one images over the next few days. 03 February 2017 Added one image for msn 859. 02 February 2017 Added one more image for msn 774; two for msn 778; one for msn 781. 01 February 2017 Added pages for msn 959, and msn 960. 31 January 2017 Added two images for msn 768; one each for msn 772; msn 773, and msn 774. 30 January 2017 Adding the latest nineteen images over the next few days. Erik tells me we have 377 images ready to add, so, maybe by June I will mange to complete that task! Today, one image each for msn 650; msn 657; msn 658; msn 666, and msn 766. 28 January 2017 Added one each for msn 756; msn 758; msn 759, and msn 764. 25 January 2017 Added one image each for msn 281, and msn 787. 22 January 2017 Added one image each for msn 739; msn 741; msn 743; msn 750, and msn 753. 20 January 2017 Added one image each for msn 701; msn 705; msn 725, and msn 729. 19 January 2017 Added one image for msn 697. 18 January 2017 Added one image each for msn 690; msn 691; msn 694, and msn 696. 17 January 2017 Adding the latest twenty images over the next few days. Today, just one for msn 688. 05 January 2017 Added pages for msn 955; msn 956; msn 957, and msn 958. 01 January 2017 A very Happy New Year to you all! Two images added to msn 492. 31 December 2016 Added the last four for 2016. One image each for msn 275; msn 288; msn 289, and msn 296. 30 December 2016 Added one image each for msn 211; msn 218; msn 224; msn 242, and msn 244. 22 December 2016 Adding two images for msn 199, and one image each for msn 206; msn 208, and msn 209. 20 December 2016 Added one image each for msn 191; msn 192, and msn 197. 12 December 2016 Added last two from this latest batch. One image for msn 679, and one for msn 683. 11 December 2016 Added one image each for msn 668; msn 672; msn 674, and two images for msn 675. 08 December 2016 Added one image each for msn 68; msn 72; msn 659; msn 661, and msn 667. 07 December 2016 Added one image each for msn 937; msn 766; msn 60; msn 64, and msn 65. 06 December 2016 Adding the latest twenty images over the next few days. Today, one each for msn 40; msn 43; msn 51; msn 54, and msn 58. 19 October 2016 Added one image each to msn 902; msn 904; msn 922; msn 923, and msn 930. 18 October 2016 Added one image each for msn 300; msn 772; msn 774; msn 840, and msn 844. 17 October 2016 Added one image each for msn 373; msn 426; msn 507, and msn 659. 16 October 2016 Added one image each for msn 134; msn 149, and msn 152. 14 October 2016 Added updated status for msn 15. 13 October 2016 Adding the latest twenty images over the next few days. One each for msn 120; msn 121,and msn 132. 10 November 2016 Added a page for msn 953, and a page for msn 954. 04 November 2016 Added one image each for msn 665; msn 864, and msn 879. 03 November 2016 Added one image each for msn 655; msn 656; msn 657; msn 658; msn 659, and msn 660. 02 November 2016 Added two images for msn 643.; one for msn 647, and two for msn 651. 01 November 2016 Added one image each for msn 614; msn 616; msn 617; msn 626, and msn 629. 31 October 2016 Added one image for msn 371. 29 October 2016 Added one image for msn 948. 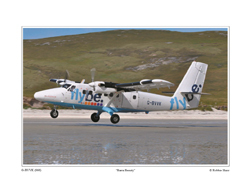 Another seventeen images of Twin Otters to add shortly. 18 October 2016 Added the remianing eight images in the current batch from Erik. Two images for msn 591; one each for msn 594; msn 596; msn 598; msn 600; msn 601, and finally msn 613. 17 October 2016 Added one image to msn 758; one image each for msn 577; msn 578; and msn 580; two images for msn 582; one each for msn 584; msn 585, and msn 586. 15 October 2016 Adding yet another twenty images over the next little while. Added one image to msn 575, and two for msn 576. 08 October 2016 Added one image to msn 947. and msn 373. 04 October 2016 Added a page for msn 951 and msn 952. Added one image each for msn 75; msn 72; msn 570; msn 559; msn 558; msn 556; two images for msn 554, and one for msn 553. 02 October 2016 Added one image each for msn 88; msn 87; two for msn 86; one each for msn 79; msn 78, and msn 76. 01 October 2016 Adding another twenty images over the next little while. Today I have added two images of msn 96; then one each for msn 95; msn 93; and msn 90. 16 September 2016 Added the following images, one image each for msn 58; msn 60; msn 61; msn 64; msn 65; msn 67, and msn 71. 15 September 2016 Added one image for msn 946. 12 September 2016 Added one image for msn 46; two for msn 50; one each for msn 52; msn 54, and msn 55. 11 September 2016 Adding another twenty five images over the next few days. One image each for msn 8; msn 20; msn 21; msn 23; msn 27; msn 37, and two images for msn 45. 01 September 2016 Added two images to msn 24. 24 August 2016 Added one image each for msn 286; msn 287; msn 288; msn 289; msn 296; msn 297, and msn 298. 21 August 2016 Added one image for msn 273; two images for msn 275; one image to each of the following, msn 276; msn 277, and msn 279. 20 August 2016 Added one image to each of these, msn 271, and msn 272. 19 August 2016 Added two images for msn 256; then one image added to each of the following, msn 264, and msn 269. 18 August 2016 Another twenty more images ready to be added today and the next few days. To start one image for msn 253. 17 August 2016 Back at it adding seven images from Joe Barr, worked up by Erik Johannesson. One image each for msn 182; msn 250; msn 280; msn 491; msn 679; msn 703, and msn 741. Quite a few more being processed. 14 August 2016 A short intermission - need a break. 13 August 2016 Updated data for msn 874. Added one image each for msn 881; msn 207; msn 208; msn 218; msn 221; msn 222; msn 224; msn 226; msn 227; msn 228; msn 229; msn 234; msn 236; msn 238; msn 239; msn 242, and msn 249. 10 August 2016 On the slate one each for, msn 601; msn 94; msn 106; msn 940; msn 321; msn 113; msn 164; msn 216, and msn 725. Four more for you, msn 178; msn 198; msn 392, and msn 505. 09 August 2016 Added one image for msn 944; finally added Updated data for msn 593; msn 613, and msn 665. Started to add 14 new images to the website. One image each added for msn 802; msn 438; msn 163; msn 500, and msn 410. 04 August 2016 Added Updated data for msn 513; msn 521; msn 524, and msn 533. msn 593; msn 613, and msn 665 tomorrow. 01 August 2016 Added Updated data for msn 336. 31 July 2016 Added one image for each of the following, msn 759; msn 763; msn 764; msn 766; msn 773; msn 779, and msn 781. 24 July 2016 Added Updated data for msn 944; msn 945; msn 946; msn 947, and msn 948. 23 July 2016 Added two images for msn 802; one image for msn 803; two for msn 810; one for msn 811; and one each for msn 818; msn 821; msn 823; msn 828; msn 830, and msn 838. 22 July 2016 Taking a break from updating data, I have 18 pictures to add first! Starting with one image each for msn 400; msn 402; two images for msn 414; one image for msn 435. 21 July 2016 Added Updated data for msn 942; msn 943; now I see I have to redo all of recent data due to fine lines appearing where there should not be any (a box was ticked when it should not have been!) . . . aargh. I'll tackle that another day - meanwhile please put up with the lines on those pages!! 20 July 2016 Added Updated data for msn 941. 19 July 2016 Updated data for msn 938; msn 939,and msn 940. 18 July 2016 Updated data for msn 937, and one image for msn 929. 17 July 2016 Updated data for msn 936. 15 July 2016 Taking a break from Twotters. 14 July 2016 Updated data for msn 934; and msn 935. 13 July 2016 Added updated data for msn 920; msn 925; msn 927; msn 928; msn 930; msn 931; msn 932, and msn 933 today. There are a lot to update. 12 July 2016 Adding thirty-nine updated data details for Series 400 and Legacy Twin Otters. Starting with msn 905; msn 906; msn 908, and msn 913. 10 July 2016 Added pages for msn 947 and msn 948. Added one image each for msn 321; msn 558; msn 373; msn 533 and msn 54. 07 July 2016 Added one image for msn 788. 06 July 2016 Added one image for msn 939, and msn 905. 05 July 2016 Added one image for msn 891, and msn 907. 03 July 2016 Added one image each for msn 943; msn 848, and msn 849. 30 June 2016 Added one image for msn 905. 20 June 2016 Added one image for msn 942. 18 June 2016 Added images today. One each for msn 793; msn 603; msn 929; msn 934; msn 938; msn 905, and two for msn 613. 13 June 2016 Added PDF update for msn 15. 11 June 2016 Added PDF updates for msn 96; msn 164; msn 202; msn 228, and msn 267. 10 June 2016 Added PDF updates for msn 14; msn 43; msn 82, and msn 94. 04 June 2016 Added one image for msn 665. PDF updates for msn 14; 15; 43; 82; 94; 96; 164; 202; 228 and 267. 04 June 2016 Added one image for msn 241. 24 May 2016 Added one image for msn 721,and one for msn 941. 13 May 2016 Added one image for msn 753, and two images for msn 334. 10 May 2016 Added one image each for msn 747, and msn 750. 08 May 2016 Added one image for msn 940; two images for msn 743. 06 May 2016 Added one image for msn 935; one for msn 114; one for msn 735; two for msn 738. 05 May 2016 Added pages for msn 943; msn 944; msn 945, and msn 946. Also one image each for msn 731; msn 733, and msn 734. 04 May 2016 Added two images to msn 729. 01 May 2016 I am be switching to my Spring / Summer mode, as of today. 30 April 2016 Last entry for April. Added some images. Firstly, two for msn 724; then three for msn 725, and two for msn 728. 24 April 2016 After a short break, hope to add a few more images today. I have 25 ready to go in the msn 721 - msn 753 range! Started by adding two images for msn 721; one image for msn 722, and two images for msn 723. 14 April 2016 Added one image each for msn 112 and msn 905. 10 April 2016 Added one image each for msn 515 and msn 108. 06 April 2016 Added one image each for msn 218; msn 507; msn 578, and msn 610. 04 April 2016 Added one image for msn 717; two for msn 718; three for msn 719; one each for msn 720; msn 721 and msn 730. 03 April 2016 Added two images for msn 716. 01 April 2016 Added one image to msn 477; three for msn 715. 31 March 2016 Added one image to msn 861; msn 938; msn 164; msn 391. 26 March 2016 Added one image for msn 706; one for msn 707; two for msn 711, and two for msn 712. 25 March 2016 After a short break, starting today to add the next huge batch of photographs in the msn 703 - msn 721 range. First up, one image for msn 703. 20 March 2016 Added one image to msn 933; one to msn 436; one to msn 375; also one for msn 711 and two for msn 721. 19 March 2016 Added one image to msn 930. 12 March 2016 Added one image to msn 937, and one to msn 577. 06 March 2016 Added one image to msn 116. 02 March 2016 Added one image to msn 631. 01 March 2016 Added one image to msn 929, and one to msn 389. 27 February 2016 Added one image to msn 932. 25 February 2016 Added one image to msn 936; one image to msn 513, pages for msn 941 and msn 942. 23 February 2016 Added one image to msn 798. 22 February 2016 Added three images for msn 696; two for msn 698; one for msn 700, and lastly, two for msn 702. 20 February 2016 Added more images today, starting with one image for msn 690, and three for msn 693. Added pages for msn 939 and msn 940, and added two images for msn 695. 18 February 2016 The final two PDF updates; msn 613 and msn 655. One image added to msn 653; two to msn 682; one image each to msn 683; msn 685; msn 687, and msn 689. 17 February 2016 Adding updated PDF's for the following; msn 389; msn 492; msn 518; msn 577, and msn 593. 13 February 2016 added updated PDF for; msn 260. 12 February 2016 Twenty-four images arrived today for me to add, but not today. I will make a start tomorrow! Well maybe a couple - on image added to msn 280; one for msn 480, and two for msn 641. 11 February 2016 Added four updated PDF's for the following; msn 48; msn 154; msn 164, and msn 217. 10 February 2016 Added two images to msn 916. 03 February 2016 Added two images to msn 162, and three to msn 163. 02 February 2016 Added two images to msn 151; two to msn 154, and one to msn 160. 01 February 2016 One image added to msn 932 and msn 935. Two images added to msn 145; msn 146, and msn 149, all on the slate for today as we start year five! 31 January 2016 Adding twenty images over the next few days to aircraft in the msn 139 - msn 163 range. To start, one image for msn 139; two for msn 141, and one for msn 145. 16 January 2016 Added one image for msn 132; two each for msn 134 and msn 135. 15 January 2016 Added two images for msn 120; one for msn 122;two for msn 124; one for msn 125; one for msn 128, and two for msn 131. 13 January 2016 Adding twenty images over the next day or two. Starting with one for msn 114; two images for msn 116; one for msn 117, and two for msn 119. 02 January 2016 Added one image to msn 368, and one image to msn 792. 20 December 2015 Added one image to msn 933. 19 December 2015 Added one image to msn 243; msn 869, and msn 932. 15 December 2015 Updated PDF's for msn 96; msn 687; msn 792; msn 793; msn 851; msn 874; msn 914; msn 920; msn 927; msn 928, and msn 930. Added one image to msn 874. 13 December 2015 Updated PDF's for msn 368; msn 454; msn 485; msn 518; msn 613, and msn 665. 12 December 2015 Updated PDF's for msn 96; msn 330, and added one image to msn 928. 11 December 2015 I've been busy launching a new website, some of you may not know about it yet! Had over 1,000 visitors since we launched last Friday! DHC-3archive.com. Doing some additions to this site today. Added three images to msn 96; one to msn 389, and one to msn 793. 29 November 2015 That's all for November 2015. 28 November 2015 Added one image to msn 454, and one to msn 368. 27 November 2015 Added one image to msn 931; one for msn 617, and one for msn 413. Added updated PDF's for msn 931 to msn 936. 26 November 2015 Added one image to msn 89, and one to msn 793. 25 November 2015 Added one image to msn 900. 24 November 2015 Added one image to msn 710; three for msn 711; one for msn 713, and one to msn 727. 23 November 2015 Added one to msn 692; two to msn 697, and one for msn 705. 22 November 2015 Added two images to msn 676. 21 November 2015 Added one image for msn 916; two images for msn 663; one for msn 664; one for msn 670, and two for msn 674. 19 November 2015 Added two images to msn 647; one to msn 648; one to msn 650; two for msn 654; three for msn 655, and two for msn 663. Another nineteen in my in box awaiting attention. Added new pages for latest two Series 400 airframes registered, msn 935 and msn 936. 18 November 2015 Added one image to msn 633; one to msn 643; two to msn 644, and one to msn 645. 17 November 2015 Added one image for msn 622; one for msn 626; two for msn 628, and two for msn 629. 14 November 2015 Added one image to msn 616; two to msn 618, and two to msn 619. Updated PDF for msn 851. 13 November 2015 Added three images to msn 608; two to msn 612, and two to msn 613 today. 12 November 2015 Another massive batch of thirty prepared images to be added. Making a start, two added to msn 600; one to msn 604; two to msn 608, and two to msn 612. 11 November 2015 Added two images to msn 441; one for msn 442, and two to msn 447. 10 November 2015 Added two to msn 434; one each for msn 435; msn 437; and msn 438, and two for msn 440. 09 November 2015 Added one for msn 423; one for msn 424, and two for msn 430. 08 November 2015 A few more images planned. Added one for msn 421. 07 November 2015 Starting work on 25 new images. Added one for msn 400; two for msn 406; one for msn 408; two for msn 409; one for msn 414, and one for msn 417. 06 November 2015 Added one image to msn 480. 05 November 2015 Added pages for msn 933 and msn 934; updated PDF's for msn 23; msn 29; msn 58; msn 162, and msn 204, mostly additional accident information/details. 03 November 2015 Added one image to msn 614, and one for msn 615. 01 November 2015 Added one image to msn 665; one to msn 620, and two for msn 906. 30 October 2015 Added one image each to msn 437, and msn 438. That's all for October 2015. 29 October 2015 Added one image to msn 420; one to msn 424; two to msn 434; one to msn 908, and one to msn 931. 25 October 2015 Added one image to msn 406; one to msn 409, and msn 411. 23 October 2015 Added one image to msn 842; one to msn 383; three to msn 402. 22 October 2015 Added one image to msn 4, and one for msn 381. 21 October 2015 Added one image to msn 99; one to msn 155; two to msn 369; two to msn 371; one for msn 373; two for msn 374; two for msn 375. 18 October 2015 Starting to add the 30 images today. Two to msn 351; two to msn 355; one to msn 357, and one to msn 358. 16 October 2015 Added one image to msn 642. I have thirty more images to be added soon for aircraft in the msn 351 to msn 438 range. 14 October 2015 Added one each for msn 414 and msn 660. 06 October 2015 Added one for msn 910: two for msn 921, and one for msn 925. More PDF's on the way. 04/05 October 2015 Yesterday and today adding many changed/updated PDF's and also minor changes, forty-two in all. Added one image for msn 929. 03 October 2015 Added one for msn 368; one more for msn 687. 02 October 2015 Added one each for msn 687; msn 927, and msn 412. 29 September 2015 Added one to msn 442; one each for msn 924; msn 926, and msn 927. 28 September 2015 Added two images to msn 809; one for msn 830; one for msn 834; two for msn 835, and two for msn 838. 27 September 2015 One image each for msn 443; msn 472; msn 478; msn 484; msn 487; msn 620; msn 798; msn 799; msn 807; msn 808. Maybe a few more later today? 26 September 2015 Added one to msn 775; one for msn 776; two for msn 778; one for msn 793; one for msn 905: one to msn 383, and one to msn 386. 25 September 2015 Added one image for msn 234; one image each for msn 389; msn 454; msn 532; two for msn 766; one for msn 770; one for msn 772, and two for msn 773. 24 September 2015 Added one image to msn 906. One image to msn 17; one image to msn 217; three images to msn 226, and one to msn 231. 22 September 2015 Added one image to msn 677 and one image to msn 924. 13 September 2015 Added one image to msn 793. 12 September 2015 Added one image to msn 917. 10 September 2015 Added three images to msn 279. 07 September 2015 Added one image to msn 919. and one to msn 106. 03 September 2015 Added one image to msn 530. 01 September 2015 Added three images to msn 739. 30 August 2015 Added one image for msn 635. 27 August 2015 Added one image for msn 928; one image for msn 766; and a page for msn 929, and msn930. 27 August 2015 Added one image for msn 923. 26 August 2015 Added two images for msn 234. 25 August 2015 Added one for msn 612; two for msn 615; one for msn 616; two for msn 618 and three for msn 620. 24 August 2015 Added two images to msn597; one to msn 602; one to msn 603; two to msn 604; one to msn 607; two to msn 608, and two to msn 613. 23 August 2015 Added one image each to msn 244; msn 509; msn 587; msn 590; three images for msn 593; and one for msn 596 and msn 926. 22 August 2015 Added one image to msn 257. 21 August 2015 Added three images to msn 243. 20 August 2015 Added one image to msn 696; one image to msn 240. 19 August 2015 Will be adding more images today, two for msn 113; one for msn 115; three for msn 118; one each to msn 311; msn 312 and msn 755. 18 August 2015 Added two images to msn 110. 17 August 2015 Added five images to msn 108, and six to msn 109. 14 August 2015 Added one image to msn 419. 13 August 2015 Updated PDF for msn 27; added one image for msn 923. 10 August 2015 Added one image msn 892. 09 August 2015 Added one image msn 822 and msn 667. Updated PDF's for msn 926; msn 927 and msn 287. 08 August 2015 Added one image each to msn 45; msn 120; msn 634; msn 564; msn 679; msn 840. Added updated PDF's for msn 45; msn 721; msn 696; msn 655; msn 487; msn 443; msn 481; msn 905; msn 906 and msn 921. 07 August 2015 Added one image to msn 915, and one to msn 927. 03 August 2015 Added one image to msn 917. 01 August 2015 Updated statistics. 2,866 DHC-6 images now on the website! Added one image to msn 696. 29 July 2015 Added two images to msn 915. 22 July 2015 Added one image to msn 879. 09 July 2015 Added one image to msn 926. Back after ten days of editorial holidays - even flew over the Viking Ramp a few times at Victoria - so saw my first Series 400's! 09 July 2015 NOTAM: No new updates until 20th July 2015. On vacation. 08 July 2015 Maybe adding one image to msn 132; msn 144, and msn 205. Sorry - did not happen. 07 July 2015 Added one image to msn 321; msn 464, and msn 127. 06 July 2015 Added one image to msn 176. 04 July 2015 Added one image to msn 375; one to msn 376; three images to msn 377; one to msn 379; four to msn 380; six to msn 382, and finally, three to msn 391. 03 July 2015 Added one image to msn 100; one to msn 101; two to msn 107; two to msn 110, and four to msn 127. 02 July 2015 Updated aircraft statistics. Added one image of msn 435, and PDF for same. Reduced activity this month. Summer vacation scedule. Adding items when I can. 28 June 2015 Added one image to msn 120. 27 June 2015 Added one image to msn 897, and one image to msn 24. Updating PDF's for msn 24; msn 139; msn 191; msn 209; msn 219; msn 357; msn 373; msn 391; msn 464; msn 591; msn 617; msn 921, and msn 926. 24 June 2015 Added one image to msn 921, and one to msn 756. 22 June 2015 Added one image to msn 617; one to msn 642; one to msn 291, and one to msn 731. 16 June 2015 Added one image to msn 371. 15 June 2015 Added or adding today, one image to msn 918; two to msn 455; one to msn 456; one to msn 473; one to msn 474; one to msn 478, and two to msn 496. Updated PDF's for msn 249; msn 477; msn 499; msn 553; msn 604; msn 766, and msn 834. 13 June 2015 One image to msn 397; one to msn 443; three to msn 445; one to msn 446, and to msn 452. Adding updated PDF's for msn 321; msn 464; msn 571; msn 597, and msn 782. 12 June 2015 Added two images to msn 388; four to msn 389; two to msn 393, and one to msn 396. 10 June 2015 Starting today to add thirty-one more images to the database. Four images to msn 381; one each to msn 384; msn 385; msn 386, and msn 387. 09 June 2015 Added one image each to msn 881 and msn 889. 06 June 2015 Added one image to msn 99. 05 June 2015 Added two images to msn 922; one to msn 924. Added PDF's for msn 927; msn 928. Updated PDF's for msn 499; msn 917 and msn 918. 04 June 2015 Added two images to msn 918. 02 June 2015 Added two images to msn 829; two to msn 835, and two to msn 841. 01 June 2015 Fifteen images on the docket. Added one image to msn 813; one to msn 814; one to msn 815; two to msn 820; four to msn 827. 31 May 2015 Added updated PDF for msn 697. On image to msn 102. 28 May 2015 Added one image to msn 352. 27 May 2015 Added one image to msn 924; two to msn 421; four to msn 422; two to msn 423; one to msn 439; one to msn 441; one to msn 623; one to msn 846; one to msn 898 and finally for today, one to msn 899. 26 May 2015 Adding a bunch of images to pages that have none. Starting with msn 401, and msn 410. Also added one to msn 176. 25 May 2015 Added updated PDF's for msn 139; msn 186, and msn 264. Added one image for msn 145. 23 May 2015 Adding one image to msn 762, and two to msn 765, that will complete my additions for a while. Taking a short break. 21 May 2015 Today I added three images for msn 745; three for msn 746; three for msn 749, and one to msn 761. 20 May 2015 Added updated PDF's for msn 280; msn 372 and msn 673. Added one image to msn 736; one image to msn 737; three images to msn 741; two images to msn 744. 19 May 2015 Added one image to msn 499. Twenty new images to be added shortly! 17 May 2015 Added on image to msn 923. 15 May 2015 Final updated/reformatted PDF's completed. They are msn 921; msn 922; msn 923; msn 924; msn 925 and msn 926. 14 May 2015 Added updated/reformatted PDF's for msn 917; msn 918; msn 919; msn 920. Also updated msn 238; msn 516 and msn 741. 12 May 2015 Added updated/reformatted PDF's for msn 874; msn 875; msn 876; msn 877; msn 878; msn 879; msn 880; msn 881; msn 882; msn 883; msn 884; msn 885; msn 886; msn 887, also planning msn 40; msn 136; msn 470 and msn 542. Two images added to msn 470. 10 May 2015 Added updated/reformatted PDF's for msn 865; msn 866; msn 867; msn 868; msn 869; msn 870; msn 871; msn 872; msn 873. 09 May 2015 Continued adding PDF's (Format changes). Range msn 865 - msn 887. 06 May 2015 Added updated PDF's to msn 855; msn 856; msn 857; msn 858; msn 859; msn 860; msn 861; msn 862; msn 863, and msn 864. 05 May 2015 Adding updated PDF's, starting today with batch msn 845 - msn 864. Added msn 845; msn 846; msn 847; msn 848; msn 849; msn 850; msn 851; msn 852; msn 853; msn 854. 03 May 2015 Continuing with the next batch as well - msn 524; msn 529; msn 542; msn 577; msn 617; msn 620; msn 629; msn 697; msn 701; msn 721, and msn 834. Coming next: The updated Series 400 PDF's. 02 May 2015 Adding updated PDF's as they arrive from Erik. Catching up! Will add msn 27; msn 66; msn 78; msn 112; msn 139; msn 191; msn 226; msn 244; msn 339; msn 373; msn 382; msn 391; msn 447 and msn 493 in this first batch. Added one image to msn 391. 01 May 2015 Added two images to msn 919; and one to msn 136. 24 April 2015 Added one image to msn 27; one to msn 149, and one to msn 493. 22 April 2015 Added one image to msn 897; one to msn 914, and one to msn 919. 19 April 2015 Added two for msn 570, and one for msn 574. 15 April 2015 Added four to msn 559; two to msn 561, and two to msn 562. 14 April 2015 Added two images to msn 551; one for msn 552; two for msn 555, and two for msn 556. 13 April 2015 Added two for msn 546; one for msn 548; two for msn 549, and two for msn 550. 12 April 2015 Added two for msn 543, and one to msn 921. 09 April 2015 Added two images to msn 527. 08 April 2015 Added one image to msn 523, and five to msn 524. 07 April 2015 Added one for msn 520; two to msn 521, and three to msn 522. 06 April 2015 Added one image each to msn 511; msn 514; msn 515 and msn 516. Two more added to msn 517, and three to msn 518. 05 April 2015 Adding nine new images shortly in msn 511 - msn 518 range. 02 April 2015 Added one image to msn 919; one to msn 922, and two to msn 244. 31 March 2015 Updated statistics for end of month. 29 March 2015 One more image to msn 244, and two to msn 860. Started work on a LINKS page, to help support our community. 28 March 2015 One image to msn 339; two to msn 617; one to msn 244. Updating and adding PDF's for 400 series. 26 March 2015 One image to msn 920; one to msn 471, and five images to msn 510. 25 March 2015 On the docket for today. Four images to msn 507; three to msn 508, and one to msn 509. 24 March 2015 One image to msn 504; four to msn 505 and one to msn 506. 23 March 2015 Starting to add thirty images today. One image to msn 501; five to msn 502, and four to msn 503. 22 March 2015 Added two images to msn 57; one image to msn 197; one image to msn 915 and one to msn 916. 21 March 2015 Added one image to msn 347, and three images to msn 516. 07 March 2015 Added one image to msn 918. 04 March 2015 Added four images - two to msn 897; one to msn 517, and one to msn 112. 01 March 2015 Updated our Census. 28 February 2015 Added page for msn 922. 25 February 2015 Added one image to msn 915. 24 February 2015 Added one image to msn 860. 18 February 2015 Added one image to msn 913. 15 February 2015 Added one image to msn 917. 01 February 2015 Added one image to msn 701. Updated our Census. 30 January 2015 Added one image to msn 916, two images to msn 116. 10 January 2015 Added one image each to msn 802; msn 889 and msn 914. New pages for msn 919 and msn 920. 08 January 2015 Added one image to msn 906. 06 January 2015 Added one image to msn 244. 05 January 2015 Added one image to msn 372 and one to msn 792. 03 January 2015 Added one image to msn 47 and one image to msn 688. Added updated PDF's for msn 351; msn 372; msn 697; msn 766; msn 792 and msn 802. Celebrating three years since we started this website! 26 December 2014 Added one image to msn 909. 25 December 2014 Great to see you back running TOS Erik - stay well. We sure missed you!! Some of you may know my colleague Erik Johannesson, who is an essential team member on the Twin Otter Archive website with Ian Macintosh and myself. Erik runs the very popular Twin Otter Spotter blog. Recently it was not too active. I had an e-mail from Erik giving reasons for the "quiet". I will include his post here. As Erik derives all his income from his home business, which he cannot do at the moment. I think that some help from "our community" is essential during his recovery. Here is his entry in his blog today. There is a PayPal link on this site. Thank You. Without Erik's constant updates and research, this website would not even exist! In short, no input from Erik, no TOA! Get Well Soon Erik! Hello everybody, and thanks to those who have been in contact with editorial/photo contributions or just wondering why it is so quiet. Yesterday I was released from the hospital after having had a stroke, coincidentally a matter of minutes after completing last blog entry. Prognosis of recovery is promising, but it will be slow. Hopefully over the next couple of days I can resume some work on the blog, because it is something that is both manageable and enjoyable under the current circumstances. What I can't do however is take on the other two parts of my home business, which generate 95% of my income. So, in the interim, anyone who is able to donate, please be assured that there is never going to be a time when it is more appreciated than now. 16 December 2014 Adding PDF updates/format changes/revisions to msn 78; msn 226; msn 264; msn 339; msn 351; msn 372; msn 697; msn 766; msn 792 and msn 802. 15 December 2014 Adding PDF updates/format changes/revisions to msn 890 - msn 899. 11 December 2014 Added five images, two to msn 910; one to msn 912; msn 914, and msn 915. 10 December 2014 Added one image to msn 605. 07 December 2014 Added one image to msn 437. 05 December 2014 Added one image to msn 90, and one to msn 913. 29-November-2014 Adding reformatted PDF updates to series 400. 27-November-2014 Added two images to msn 642. 26-November-2014 Added one image to msn 861; one to msn 889; one to msn 856; one to msn 763; one to msn 46, and one to msn 320. 22-November-2014 Planning one image for msn 822; two for msn 823;two for msn 825; one to msn 826; two for msn 828, and one to msn 829. 21-November-2014 Two images to msn 812; one to msn 816; two to msn 818, and one to msn 821. 19-November-2014 Planning two images to msn 806; one to msn 807; one to msn 810, and two to msn 811. 18-November-2014 One image to msn 803; two to msn 804, and one to msn 805. Updated PDF for msn 355. 17-November-2014 New week - new images. Updated photo credits. One image to msn 796; one to msn 798, and one to msn 799. 16-November-2014 Planning more images - 37 to go in the latest batch! Added one image to msn 787; one to msn 788; one to msn 789.; two to msn 791; two to msn 792, and two to msn 793. 15-November-2014 Added an image to msn 781; one to msn 783; one to msn 784, and one to msn 785. 14-November-2014 Four images to msn 688; two to msn 689, and one to msn 690. Also adding PDF Updates/revisions for msn 27; msn 226; msn 264; msn 276; msn 382; msn 528 and msn 697. 13-November-2014 Two images to msn 685; two to msn 686, and two to msn 687. 12-November-2014 Three images added to msn 683, and one to msn 684. 11-November-2014 Sixty-eight images ready to upload. Three to msn 678; two to msn 679, and four to msn 682. 09-November-2014 Updated/revised PDF's for msn 226; msn 231; msn 300; msn 330; msn 334: msn 347; msn 351; msn 355; msn 382; msn 402; msn 447; msn 464: msn 493; msn 513; msn 556; msn 557: msn 593; msn 682; msn 697; msn 701; msn 703; msn 772 and finally, msn 807. 08-November-2014 Back to updating PDF's. Only 29 to add! Updated msn 8; msn 11; msn 21; msn 160; msn 181. 02-November-2014 Added one image to msn 420. 01-November-2014 From now on there will only be updates to the DHC-6-400 production, and revised information/PDF's to earlier Twin Otters. Now and then I will add images for aircraft in the range msn 780 to msn 830 when time permits. 31-October-2014 Added four images to msn 839; five to msn 840; two to msn 842; three to msn 843, and three to msn 844. 30-October-2014 Added one image to msn 834; two to msn 836; two to msn 837, and two to msn 838. 29-October-2014 Thirty-three images to add. Starting today. In the msn 830 - msn 844 range. Added one to msn 830; six to msn 831; two to msn 832, and one to msn 833. 26-October-2014 Added on image to msn 911 and two to msn 90. 24-October-2014 Continuing to add PDF's - up to msn 844!!! Thirty-three months to get this far!!!! 20-October-2014 Continuing to add PDF's - up to msn 830 now. 18-October-2014 Adding PDF's for msn 781 to msn 844. One image added to msn 909. 17-October-2014 Added four images to msn 768; two to msn 769; two to msn 771; one to msn 772; one to msn 773.; two to msn 774; one to msn 777, and one to msn 779. 15-October-2014 One image to msn 759; one image to msn 760, and four to msn 764. 14-October-2014 Added one image to msn 889; one image to msn 757; two to msn 758. 13-October-2014 PDF's completed to msn 780. Pictures coming next. "The Big Push" has now started to complete the Series 300's. 12-October-2014 Added on image to msn 907. 11-October-2014 Adding PDF's for msn 761 to msn 780 over the next day or so. 10-October-2014 Two images added to msn 733; two added to msn 734; four to msn 735; three to msn 738; one to msn 739 and four to msn 740. 09-October-2014 Added two images to msn 750; three to msn 751, three to msn 753; two to msn 754; two to msn 755; one to msn 756, and two to msn 732. 08-October-2014 Added one image to msn 743; two to msn 747, and three to msn 748. 07-October-2014 Adding PDF's for msn 742 to msn 760. Might take a day or two! 06-October-2014 Added updated photographer credits page. Thanks to Ian for the lists. 04-October-2014 Marathon session updating PDF's to Series 400. Now up to msn 914. 02-October-2014 Added one image to msn 731; six to msn 732, and three to msn 733. 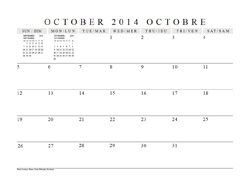 01-October-2014 A wee surprise for you all today! Here is the first month of the "free" TOA / TOS DHC-6 Twin Otter Calendar. Click on the image to download the PDF. Best printed on Matt Photo Paper. My thanks to Robbie Shaw for his great image. Added one image to msn 728; two to msn 729 and two to msn 730. 30-September-2014 Added one image to msn 724; and to close out the month, four to msn 725, and two to msn 726. 29-September-2014 Added two images to msn 723. 28-September-2014 Adding the first of 27 images. One more image to msn 720; two to msn 721: two to msn 722. More PDF's as well - up to msn 733. 27-September-2014 Added one image to msn 908. 24-September-2014 Added four images, three to msn 719, and one to msn 720, also added the next ten PDF's, msn 721 - msn 730. 22-September-2014 Adding five images to msn 715; one to msn 716 and one to msn 717. 21-September-2014 Four images added to msn 712. 20-September-2014 One image added to msn 709. 19-September-2014 One image added to msn 706; one image to msn 707; and three to msn 708. 14-September-2014 Starting to add 29 images to msn 701 - msn 720. Three images to msn 701; two to msn 702; one image to msn 703. 07-September-2014 Added PDF's for msn 711 - msn 720. "Summer Mode" is over. Pictures soon. 31-August-2014 Added all the coloured boxes to the main index page. Now the work continues to add the PDF's. 24-August-2014 Adding two images to msn 698; two to msn 699 and one to msn 700. 23-August-2014 Added one image to msn 694; three to msn 695; four to msn 696; one to msn 433. Added PDF's for msn 701 - msn 710. 22-August-2014 Completed adding PDF's for msn 691 - msn 700. Twenty-one pictures soon. Added four images to msn 691 and four to msn 693. 18-August-2014 Adding PDF's for msn 691 - msn 700. 10-August-2014 Added PDF's for msn 677 - msn 690. Pictures to follow soon. 09-August-2014 Added PDF's for msn 903 - msn 905 plus six Series 400 revisions/updates. One image added to msn 902; one to msn 904; two to msn 905; three to msn 898; one to msn 897 and one to msn 891. 08-August-2014 Added pages for msn 903 - msn 909. One image to msn 903. 31-July-2014 Added one image to msn 155 and one to msn 901; PDF's updated for msn 888; msn 894; msn 896; msn 897; msn 899; msn 900; msn 901 and msn 902. 07-July-2014 Hope to add one image to msn 671; three to msn 672; two to msn 673, and one to msn 674. 06-July-2014 Added PDF's for msn 665 - 670. Added six images to msn 666; one image to msn 667; two to msn 668 and one to msn 669. 03-July-2014 Added five to msn 665. 29-June-2014 Reaching the end of the month and about to switch to "Summer Mode" for July and August. Every once in a while I will add something. I'll try to keep up to date with the DHC-6-400 deliveries. 25-June-2014 Added five images to msn 659; two to msn 660; two to msn 661 and one to msn 662. 24-June-2014 Added one to msn 658. 21-June-2014 Added five to msn 657. 20-June-2014 Added four to msn 652, and one to msn 656. 19-June-2014 Added one image to msn 651. 18-June-2014 Added one image to msn 352; next up, 43 images for range msn 651 - msn 674, also PDF's up to msn 690! 17-June-2014 Starting on PDF additions. Thanks again to my team members Erik and Ian. They are way ahead of me! 16-June-2014 Updated PDF's for msn 51; msn 154; msn 881 and msn 882. Adding next batch of PDF's over the next few days, up to msn 676. 15-June-2014 Added one image to msn 888; three to msn 887; four to msn 884; two to msn 877; one to msn 873, and finally for today, two to msn 870. 14-June-2014 After more "technical" issues, I have the ability to upload again! Added four images to msn 893; one to msn 891. 11-June-2014 More PDF's today, up to msn 660. 08-June-2014 Hope to add PDF's for msn 651 - msn 660. Started adding images, one to msn 900; one to msn 899; one to msn 898; one to msn 897; one to msn 896; one to msn 895; three to msn 894. 04-June-2014 Hope to add some new Series 400 images soon. 03-June-2014 Completed DHC-6-400 PDF's up to msn 901. Added revised PDF's for earlier msn's; msn 106; msn 154; msn 238; msn 358; msn 372; msn 373; msn 402; msn 447; msn 482; msn 533; msn 557; msn 592; msn 611 and msn 629. 02-June-2014 Added one image to msn 648 and four to msn 650 later today. Hope to add more PDF's as well. 01-June-2014 Trying to get back on track, a lot of catching up to do. Five images to msn 647. 31-May-2014 Added five images to msn 642 to close out the month. 26-May-2014 Are you a regular visitor to this page? - How about chipping in with a small donation? Thank you! 25-May-2014 Added more PDF updates in msn 872 - msn 901 range. 23-May-2014 Added two images to msn 638; one to msn 639; four to msn 640, and one to msn 644. 22-May-2014 Added one image to msn 117; three to msn 633; one to msn 634; msn 635 and two to msn 636. Adding PDF's, updates and new for msn 872 - msn 901. 18-May-2014 Added one image to msn 405; one to msn 46; one to msn 631 and one to msn 632. 13-May-2014 Added PDF's for msn 630 - msn 640. 12-May-2014 Added five images to msn 629. 11-May-2014 Added one image to msn 626; one to msn 628. 08-May-2014 Added one image to msn 66. 07-May-2014 Added two images to msn 623; one to msn 624; three to msn 625, more to others shortly. 06-May-2014 Adding 17 images this week. First up, two images to msn 621, and one to msn 622. 02-May-2014 Added PDF's for msn 621 - msn 629. 01-May-2014 Updated PDF's for msn 374; msn 375; msn 382 and msn 406. 30-Apr-2014 Updated PDF's for msn 340; msn 358; msn 372; and msn 373. 29-Apr-2014 Updated PDF's for msn 325. 28-Apr-2014 Back to adding updated PDF's and new ones. Up to msn 629 on the slate in the next few days. So far updated msn 302; msn 308; msn 320. 23-Apr-2014 My computer died today after a power outage ovenight. So today purchased a new machine - had enough of this grief off and on with my old computer. Learning curve over next few days after I get the machine up and running. 21-Apr-2014 My free time is evaporating. Added one to msn 613; two to msn 615; four to msn 617, and finally two to msn 619. 20-Apr-2014 Added three images to msn 602; adding two to msn 603; one to msn 606; two to msn 607, two to msn 608; one to msn 610 and four to msn 611. 19-Apr-2014 Added one image to msn 138. Updated PDF's for msn 22; msn 40; msn 51; msn 79; msn 96; msn 139; msn 164; msn 264 and msn 276. Adding more images as well. Four to msn 601. 18-Apr-2014 Added one image to msn 580; msn 595; msn 597 and msn 598. Next batch of 32 images ready to add. Added three images to msn 600: Updated PDF for msn 8. 17-Apr-2014 Added two to msn 553; also one to msn 557; msn 560; msn 562; msn 563; msn 565; msn 566; three to msn 571; two to msn 574; one to msn 575, and one to msn 579. 16-Apr-2014 Added two to msn 545; two to msn 547; two to msn 548; three to msn 549; two to msn 551. 15-Apr-2014 Added three to msn 542 and one to msn 544. 14-Apr-2014 Completed adding PDF's up to msn 620. Added four images to msn 255; one each to msn 527; msn 531, and msn 533. I have another 38 images waiting! Guess who will be very busy this coming week. 13-Apr-2014 Added two more images to msn 599. 12-Apr-2014 Added one image to msn 587; six to msn 588; one to msn 592; one to msn 594; two to msn 596 and one to msn 599. 11-Apr-2014 Added three images to msn 579; one to msn 581; one to msn 586. 09-Apr-2014 Adding forty images over the next few days! Today so far, added four to msn 573; three to msn 574; two to msn 575; one to msn 576; one to msn 577, and five to msn 578. 08-Apr-2014 Added one more image to msn 572. 07-Apr-2014 Added three images to msn 94 and two to msn 176. Completed PDF's in the range msn 582 - msn 600. Phew! 05-Apr-2014 Added one image to msn 567; msn 569 and two images to msn 572. More PDF's if I can. 03-Apr-2014 Added one image to msn 562; msn 563; msn 564 and msn 566. 02-Apr-2014 Added seven to msn 557; two to msn 558; one to msn 559; msn 560, and msn 561. 01-Apr-2014 Adding PDF's msn 582 - msn 590 over the next few day, plus 21 new photos. 24-Mar-2014 Added four more images to msn 571; one to msn 348; two to msn 373 and one for msn 464. 23-Mar-2014 Added two more images to msn 880; one to msn 867 and one to msn 874. Added four images to msn 571. 22-Mar-2014 Adding a few more images to Series 400 aircraft. Two to msn 890; one to msn 891, and three to msn 892. 20-Mar-2014 Adding lots of images to Series 400 aircraft. So far, one image to msn 874; msn 875; msn 882; msn 884; msn 886, and msn 888. More PDF's coming as well, in the msn 571 - msn 581 range. 16-Mar-2014 Adding updated PDF's for Series 400 machines. 11-Mar-2014 Added one image to msn 133 and one to msn 168. 08-Mar-2014 Added one image to msn 887; one to msn 889; and four to msn 867. Finished the PDF's to msn 570. Sorry for the lack of additions, hope to add a bunch this week. 26-Feb-2014 Adding PDF's for msn 561 to msn 570 this week. 26-Feb-2014 Added on image of msn 96. 22-Feb-2014 Adding more PDF's today, perhaps up to msn 560. 20-Feb-2014 Added PDF's to msn 551; msn 552 and msn 553. I hope meanwhile you have been keeping up to date with TOS! 15-Feb-2014 I've been without my main computer for two weeks and it is still "unwell" - I think the only solution is a new one. I am working on a "workaround" using an ancient machine and swapping hard drives, externals etc. As you will see I have added this panel! Hope to resolve issues in the next week. RESOLVED - still using old computer too! Latest news: I think I have managed to fix it! Have a lot of items to re-install, meanwhile I have managed to install GoLive CS2 (no longer supported by Adobe) with help from Adobe on my newest computer. 02-Feb-2014 Finishing off PDF's to msn 550. 29-Jan-2014 Hope to add a few more PDF's today. End of month gets very busy around my websites! 26-Jan-2014 Started adding PDF's for msn 541 - msn 550. 23-Jan-2014 Added two images to msn 533; two for msn 535 and two for msn 539. 22-Jan-2014 Added one image to msn 532. 21-Jan-2014 Added one image to msn 527; two images to msn 530; one image to msn 534, and three to msn 537. 20-Jan-2014 Added four images to msn 533. 19-Jan-2014 Added five images to msn 525. 18-Jan-2014 PDF's up to msn 540 added, Now to chase up some photographs. 16-Jan-2014 PDF's up to msn 536 added. 15-Jan-2014 Started adding PDF's for msn 531 - msn 540. 13-Jan-2014 Added four images to msn 528; two to msn 530. 11-Jan-2014 Added one image to msn 526; three to msn 527 and one to msn 528. 09-Jan-2014 Added one image to msn 522; two to msn 523; one to msn 524, and four for msn 525. 08-Jan-2014 Adding PDF's for msn 521 - msn 530 over the next while, plus 21 additional images. Two added to msn 521. 06-Jan-2014 Added PDF's for msn 518 - msn 520 today, one image for msn 519 and four for msn 520. Updated PDF for msn 454. 04-Jan-2014 Added PDF's for msn 516 and msn 517 today. Two images for msn 517. 03-Jan-2014 Added one image to msn 514 and three to msn 515 today. Added one Series 400 production image to the Index Page. 02-Jan-2014 Happy New Year! Gradually adding PDF's for msn 511 - msn 520; added one image for msn 511 and four for msn 513. 29-Dec-2013 That's all for 2013 folks. 27-Dec-2013 Added PDF's for msn 509 and msn 510. 26-Dec-2013 PDF's for msn 507 and msn 508 added today. 25-Dec-2013 Day off! Season's Greetings. 24-Dec-2013 More PDF's, this time msn 505 and msn 506. 23-Dec-2013 Still gradually adding PDF's: msn 503; and msn 504. 22-Dec-2013 Gradually adding PDF's: msn 501; and msn 502. 21-Dec-2013 In the middle of an ice storm here, while I have power, I've updated msn 495 with one image, two to msn 497; one to msn 498; one to msn 499, and if I still have the Internet and power, three to msn 500. 20-Dec-2013 Continuing adding the PDF's and more images. One to msn 493 and three to msn 494. 19-Dec-2013 Gradually adding PDF's msn 490 - msn 500. Added three images to msn 491; one to msn 492. 18-Dec-2013 Added two images to msn 321 and one to msn 339. 17-Dec-2013 Added two images to msn 483; one to msn 484; four to msn 485 and two to msn 489. 14-Dec-2013 Adding what I lost yesterday!!! Front three pages may look weird until I rebuild them!! Added one image to msn 481. 13-Dec-2013 Gradually adding PDF's msn 480 - msn 489. Added two images to msn 480. 10-Dec-2013 Added four images to msn 477 and one to msn 479. PDF's for msn 477 - msn 479. 09-Dec-2013 Added one image to msn 463; three to msn 464; one to msn 466; msn 475 and msn 476. 04-Dec-2013 Added image for msn 235. Also added one to msn 82; msn 91 and msn 95. 03-Dec-2013 Added on image to msn 74; one to msn 75 and one to msn 76. 02-Dec-2013 Added three images to msn 468; three to msn 475 and one to msn 476. Updated PDF for msn 347. Added blank pages for msn 893; msn 894 and msn 895. 01-Dec-2013 Five images for msn 467. Busy November - I doubt if December will be as productive! 30-Nov-2013 Added three images today for msn 462 and two more for msn 464. PDF's for msn 467 - msn 476 completed. 29-Nov-2013 Added three images to msn 454; one to msn 457 and three to msn 461. 28-Nov-2013 Added seven images today - two for msn 462 and five for msn 464. Updated PDF's for msn 321 and msn 339. 27-Nov-2013 Added PDF's for msn 456 - msn 466. 26-Nov-2013 I'm adding gradually, basic page layouts to msn 456 to msn 495 in preparation for addition of PDF's. 23-Nov-2013 Added PDF's for msn 451 - msn 455. Two images to msn 454, and one to msn 426. 20-Nov-2013 Added one image to msn 449 and msn 450. 19-Nov-2013 Added two images to msn 447 and one to msn 448. 18-Nov-2013 Added PDF's for msn 440 - msn 450 and added two images to msn 440; three to msn 442. 17-Nov-2013 Added PDF's for msn 436 - msn 439. One image added to msn 348; one added to msn 436; two to msn 437; two to msn 438. 16-Nov-2013 Added one to msn 424; four to msn 426; two to msn 427; one to msn 428; one to msn 429; one to msn 434 and one msn 435 today. 14-Nov-2013 Added four images to msn 429 and two to msn 430; one to msn 431; one for msn 433; two for msn 434 and one for msn 435. Added PDF's to msn 431; msn 432; msn 433; msn 434 and msn 435. 13-Nov-2013 Adding one image to msn 94; two for msn 64; two for msn 65; one for msn 66; four for msn 68; two for msn 71 and one for msn 72. Also PDF's for msn 425; msn 426; msn 427; msn 428; msn 429 and msn 430. 12-Nov-2013 Added PDF's for msn 421; msn 422; msn 423; msn 424. 11-Nov-2013 Busy day: One image to msn 402; two images to msn 403; one to msn 408; one to msn 409; one to msn 411; one to msn 413; three for msn 414; one to msn 416; two to msn 417 ; one to msn 419 and one to msn 420. 09-Nov-2013 Added one image to msn 400; three to msn 402. 08-Nov-2013 Added one image to msn 411; one to msn 412; three to msn 413; one to msn 414 and one to msn 420. 07-Nov-2013 Added PDF's for msn 415; msn 416; msn 417; msn 418; msn 419 and msn 420. 03-Nov-2013 Added two images to msn 402; one to msn 403; one to msn 405; two to msn 407 and one to msn 409. 02-Nov-2013 Added PDF's to msn 411; msn 412; msn 413 and msn 414. Added three images to msn 400. 01-Nov-2013 Added PDF's to msn 404; msn 405; msn 406; msn 407; msn 408; msn 409 and msn 410. 29-Oct-2013 Added PDF's for msn 400; msn 401; msn 402 and msn 403. 23-Oct-2013 Ten images added today - Three to msn 58; one to msn 59; three to msn 60; two to msn 61 and one to msn 64. 20-Oct-2013 Added five images to msn 53 and five to msn 54. 17-Oct-2013 Added two images to msn 48; three to msn 50; two to msn 51 and three to msn 52. 11-Oct-2013 Added pages to msn 887-892. 07-Oct-2013 Added PDF's for msn 884-886; one image to msn 884; two to msn 885; one to msn 886 and two to msn 878. 06-Oct-2013 Added one image to msn 2. 04-Oct-2013 Eight additional images for msn 47. 02-Oct-2013 Added one image to msn 19; one to msn 40; one image to msn 45; two to msn 46. 30-Sep-2013 Seven images added to msn 43. 29-Sep-2013 Two images added to msn 42. 27-Sep-2013 Four images added to msn 40. 26-Sep-2013 Added two images to msn 883. 25-Sep-2013 Added two images to msn 36. 24-Sep-2013 Added one image to msn 89. 23-Sep-2013 Adding one image to msn 22; one to msn 25, four to msn 27; three to msn 32, two to msn 34 and one to msn 35. 19-Sep-2013 Added one image to msn 17, two to msn 19, four to msn 21. 18-Sep-2013 Added four images to msn 4, one image to msn 5, three to msn 8, seven to msn 9 and three to msn 15. PDF updates for msn 44; 146; 125 and 259. 17-Sep-2013 Adding fifteen images today and tomorrow for early machines. Check later. 13-Sep-2013 Added three images to msn 2 and six images to msn 3. 12-Sep-2013 Added additional updates/revisions to msn 869; 874; 876. Two images added for msn 869; four to msn 870; one to msn 876; and one to msn 880. 10-Sep-2013 Adding updates to msn 851; 861; 869; 870; 872; 874; 876; 877; 878; 879; 880; 881; 882; 883. 03/06-Sep-2013 adding updates/revisions to msn 45; 78; 82; 94; 106; 139; 242; 249; 272; 286; 291; 321; 324; 347; 355. Trying to get back to fairly steady additions of photographs and histories! This page, and the TOA website, will occasionally be updated from June until early September. Taking a summer break. You are most welcome to explore what we have already - also, keep up to date with Erik's Twin Otter Spotter blog. We will keep the Viking DHC-6-400 up to date during this period. 31-Aug-2013 Added image of msn 883, two images to msn 242, and minor corrections to msn 190 and msn 215. 16-Aug-2013 Added a banner image of msn 748. 14-Aug-2013 Added one image to msn 880 and msn 881. 01-Aug-2013 Added one image to msn 882. 23-Jul-2013 Added one image to msn 869. 17-Jul-2013 One image added to msn 880 and two to msn 881. 13-Jul-2013 Added one image to msn 872. 10-Jul-2013 Added image of msn 869. 29-Jun-2013 Added images to msn 849; 850; 851; 862; 863; 868; 872 (2); 873; 874; 875; 877; 878 (2) and 880. 17-Jun-2013 Added revised PDF's for msn 845 - msn 870. 16-Jun-2013 Added one image to msn 874 and msn 880. 09-Jun-2013 Added one image to msn 879. PDF coming soon. 08-Jun-2013 Added PDF's for msn 391-399. I'm afraid I have run out of steam for the time being, DHC-2.COM is demanding too much of my time as I have a large backlog to get through. Normal service as soon as I can folks. 02-Jun-2013 Three more images to msn 374. 01-Jun-2013 In summer mode now = reduced input ! Added two images to msn 374. 28-May-2013 Added PDF and two images for msn 382, also added PDF's today for msn 383-390. 27-May-2013 Added two images of msn 373. 26-May-2013 Added one more image for msn 372. 24-May-2013 Working on four more images for msn 372. 23-May-2013 Added one more image to msn 371. One image for msn 372. 22-May-2013 Added two images to msn 371. 20-May-2013 Added one image to msn 132. One image to msn 370. 19-May-2013 Adding five images to msn 369. 18-May-2013 No updates. Gardening and keeping DHC-2.COM up to speed. 13-May-2013 Added six images to msn 367. Two more added to msn 368. One image to msn 311, two to msn 321, one to msn 339 and msn 358. 12-May-2013 Added two images to msn 367 and one to msn 368. 11-May-2013 Four images added to msn 366. 10-May-2013 Added one image to msn 360. 09_May-2013 No updates. Taking a break. 08-May-2013 No updates. Gardening season. 07-May-2013 No updates. Taking a break. 06-May-2013 No updates. Taking a break. 05-May-2013 Added one image to msn 114. 04-May-2013 No updates. Taking a break. 03-May-2013 Image of msn 405 added to index page. Added four more images for msn 365. Added one to msn 876. 02-May-2013 No updates. Taking a break. 01-May-2013 Added one image to msn 852, msn 863, msn 876 and msn 878. 30-Apr-2013 Added one image to msn 204. Added one image to msn 372, and msn 374. That's it for April 2013! 28-Apr-2013 Added PDF's 374-381. One image to msn 375. 27-Apr-2013 Added one image to msn 272. Added PDF's 369-373. Added one image to msn 365. 25-Apr-2013 One image for msn 363, one added to msn 94 and msn 364. 24-Apr-2013 Added two images to msn 362. 23-Apr-2013 Adding one image to msn 270, msn 273, msn 279, msn 288 and msn 368. 22-Apr-2013 Added one image to msn 364. Adding PDF's for msn 364-368, one image to msn 77, one to msn 231.and msn 259. 21-Apr-2013 Replaced blurry image in msn 204. 20-Apr-2013 Added two to msn 281. 19-Apr-2013 Added one image to msn 280. 18-Apr-2013 PDF's for msn 362 and msn 363. Two images for msn 361 and two for msn 362. 17-Apr-2013 Added last two images to msn 359. Two images to msn 360 and three to msn 361. 16-Apr-2013 Five images for msn 359. 15-Apr-2013 Two more to complete msn 358. 14-Apr-2013 Added one more to msn 358. 13-Apr-2013 Added three images to msn 358 today. 12-Apr-2013 Four images for msn 357 completed today. 11-Apr-2013 Three images added to msn 356. 10-Apr-2013 One last image to msn 352 and one for msn 354. Four added to msn 355. 09-Apr-2013 Added two more images to msn 351. Four images to msn 352. 08-Apr-2013 Added three images to msn 351. 07-Apr-2013 Added one image to msn 9, msn 14, two to msn 15, one to each for msn 18, msn 19, msn 21. 06-Apr-2013 Added two images to msn 2, and one image to msn 212. 05-Apr-2013 Added images to msn 875, msn 872, msn 94, msn 96, msn 15, msn 150, msn 105. Added images to msn 357, and msn 358. 04-Apr-2013 Adding PDF's for msn 352-360. Working on six images for msn 351. 03-Apr-2013 Added two images to msn 349, seven added to msn 350. Two images to msn 348, also one image to msn 345, msn 343 and msn 340. 02-Apr-2013 Added three images to msn 348. Updated msn 856 and msn 868. Added one image to msn 869. 01-Apr-2013 Four images added to msn 348 today. Image and update to msn 212. Added the same image to msn 51 and msn 40. Update to msn 870 and photo to msn 875. 31-Mar-2013 Added an image to msn 876 also two images to msn 347. That's it for March 2013. 30-Mar-2013 Three more images to msn 347. 29-Mar-2013 Added two images to msn 347. 28-Mar-2013 Two images to msn 345 and one to msn 346. Update and two images to msn 247. Image to msn 290. 26-Mar-2013 Added nine images to msn 344. 25-Mar-2013 Added nine more images to msn 343. 24-Mar-2013 Added one image to msn 320; msn 306; msn 307 and msn 321. Two images added to msn 343. 23-Mar-2013 Final scanning today, Carousel #35 msn 799-844! 22-Mar-2013 Yet more scanning, Carousel #34 msn 762-799. Added one image to msn 226; msn 291; msn 304; msn 308; msn 312. 21-Mar-2013 First day of Spring ! - more scanning, Carousel #33 msn 725-761. 20-Mar-2013 Just more scannning today, Carousel #32 msn 685-725. 19-Mar-2013 Added five images to msn 342. Scanning Carousel #31 msn 639-685. 18-Mar-2013 Scanning another 140 slides today, Carousel #30 - msn 600-638. Only five more Carousels to go! Added two more images to msn 340. 17-Mar-2013 Six images added to msn 341 and completed scanning Carousel #29. 16-Mar-2013 More scanning to complete Mike's Carousel #28. 15-Mar-2013 Scanning from msn 513 to msn 559 today - 140 slides in that batch. Starting to add PDF's for msn 341-351. 14-Mar-2013 Six images added to msn 339. Four added to msn 340. Additional scanning of next 280 slides started. 12-Mar-2013 Adding images to msn 285; msn 282; msn 277; msn 275; msn 273; msn 267; msn 247; and two more to msn 337. Scanning in more of Mike's huge collection, today msn 414 to msn 464 (140 slides). Added an image to msn 295 and msn 263. 11-Mar-2013 Threer more images for msn 338. One image added to msn 8. 10-Mar-2013 Five more images added to msn 337. Three images for msn 338. 09-Mar-2013 One image to msn 337. Scanned up to msn 414. 08-Mar-2013 Added two more images to msn 335. Eight images added to msn 336. 07-Mar-2013 Added one image to msn 335. 06-Mar-2013 Added images to: msn 180; msn 267; msn 302; msn 311; msn 119; and msn 103. Still scanning non-stop while I do all that! Stopped after 240 slides. 05-Mar-2013 Added two more images to msn 334. Still scanning away in the range msn 335-385. New images added to msn 45; msn 66; msn 104; msn 144. 04-Mar-2013 Four added to msn 334. Scanned another batch of slides today. 03-Mar-2013 One more image added to msn 334. 02-Mar-2013 Two images to msn 51, and one to msn 176. 01-Mar-2013 Four images added to msn 334. 28-Feb-2013 General end-of-month housekeeping - no updates. Thanks to our crew for their hard work! 27-Feb-2013 Added an image to msn 15, and two more to msn 333. 26-Feb-2013 Added two to msn 331, one image to msn 332 and one to msn 333. Gradually adding PDF's for msn 331 to 340. Actual pages being built shortly. Added additional images to msn 873; msn 311; msn 313; msn 320 and msn 324. 25-Feb-2013 One image added for msn 326. One also added to msn 327, msn 328, msn 329 and msn 330. 24-Feb-2013 Two images to msn 323, one image for msn 324, and three for msn 325. 23-Feb-2013 Two images for msn 322. 22-Feb-2013 Two more for msn 321. 21-Feb-2013 Three images to msn 321. 20-Feb-2013 Added one image for msn 319. Two for msn 320. 19-Feb-2013 Added one image for msn 317. PDF revision for msn 852. Two images for msn 318. PDF's being added for msn 317-330. 18-Feb-2013 Added image for msn 316. One image added to msn 103 and msn 874. 17-Feb-2013 One image for msn 315. 16-Feb-2013 Three images for msn 314. 15-Feb-2013 One image to msn 94. One image to msn 852. Three images to msn 864. PDF revisions to msn 32;106;146;151;239;242;272. 14-Feb-2013 Added PDF's from msn 873 to msn 878. Revision PDF updates to msn 859; 864; 871 amd 872. Two mages to msn 870. 12-Feb-2013 Three images for msn 314, more tomorrow. 11-Feb-2013 Added one image to msn 128. Two images for msn 314. 09-Feb-2013 Two more images to msn 313. On to msn 314 now. 08-Feb-2013 Three images to msn 313. 07-Feb-2013 Three images to msn 312. 06-Feb-2013 One image for msn 311. 05-02-Feb-2013 No updates - scanning. 01-Feb-2013 Added two images for msn 309 - including three versions of the same photograph for a scanner test. One image for msn 310. 29-Jan-2013 Added six more images to msn 307. 28-Jan-2013 Five more images added to msn 308. Next up msn 309. 27-Jan-2013 Added two images to msn 308. 26-Jan-2013 Three more to msn 307. 25-Jan-2013 Three images for msn 307. 23-Jan-2013 Four images to msn 306. 22-Jan-2013 Two images to msn 303. Adding PDF's for msn 306 - 315. 21-Jan-2013 Four images to msn 305. 20-Jan-2013 Five images added to msn 304. 19-Jan-2013 Three more added to msn 303. 18-Jan-2013 Six images for msn 303. 17-Jan-2013 Added one more image to msn 302. 16-Jan-2013 Added three images to msn 301. One image for msn 302. 14-Jan-2013 PDF's for msn 301-306. 13-Jan-2013 Fortmatted msn 301 - 310. PDF's next. 12-Jan-2013 Five images added to msn 299, also two for msn 300. 11-Jan-2013 Two added to msn 298. 10-Jan-2013 Catching up with other projects last day or so. Two images to msn 297 today. 05-Jan-2013 Hopefully your webmaster is well enough to get back at it! 02-Jan-2013 Five images added to msn 295. One to msn 296. 31-Dec-2012 Added two images to msn 294. That's it for 2012! 30-Dec-2012 One more image added to msn 291, and added four to msn 292 today. 29-Dec-2012 Five images added msn 290 today, and five added to msn 291. 28-Dec-2012 Two images for msn 289 and one for msn 290. 27-Dec-2012 Added four images to msn 288, two added to msn 289. 26-Dec-2012 Added an image to msn 287. 25-Dec-2012 No updates - Season's Greetings ! 23-Dec-2012 One image to msn 287. PDF's for msn 291; msn 292.; msn 293; msn 296 ; msn 297 and msn 300. Note: There might be a reduced schedule over the Holiday Season. 22-Dec-2012 Day off. No updates. 21-Dec-2012 Added some PDF's - msn 294; msn 295; msn 296; msn 298; msn 299. 20-Dec-2012 Added PDF's for msn 286-290. One image for msn 284 and five to msn 285, and finally, three to msn 286. 19-Dec-2012 Four images to msn 282 today and seven to msn 283. One to msn 866. 18-Dec-2012 Two images to msn 282. 17-Dec-2012 Added seven images to msn 281 and two for msn 282. 16-Dec-2012 Added one image to msn 34, msn 87 and two to msn 131. 15-Dec-2012 Two more images to msn 279 and nine images to msn 280. 14-Dec-2012 Four images added to msn 279 and one to msn 280. 13-Dec-2012 Three images added to msn 278 today. 12-Dec-2012 Two more for msn 276 and four for msn 277. 11-Dec-2012 Three more image to msn 275 and one for msn 276. 10-Dec-2012 Added three images to msn 274. Now on to msn 275. PDF's added for msn 276-285. Updated PDF's for msn 220; msn 222; msn 223; msn 224; msn 238; msn 260 and msn 265 - revisions. 09-Dec-2012 Added seven images to msn 273. 06-Dec-2012 Five more images for msn 272. 04-Dec-2012 Updated PDF for msn 39. 03-Dec-2012 Three images of msn 221 taken in 1969. 02-Dec-2012 Re-formatted pages for msn 271 - 275. Added five images to msn 271, also one more to msn 272. 01-Dec-2012 Added one image to msn 133. Seven added to msn 270, and adding PDF's to msn 271-275. 30-Nov-2012 Eight images to msn 269 today. 29-Nov-2012 No images located for msn 268 so adding one now to msn 269. 28-Nov-2012 Three more images to msn 267 and one to msn 866. 26-Nov-2012 New image and revision for msn 869. 25-Nov-2012 Working on some more images for msn 267. 23-Nov-2012 Two more images were added to msn 266. Manged to add two to msn 267 also. 22-Nov-2012 Added one image to msn 266. 21-Nov-2012 No updates recently - taking a break. 15-Nov-2012 Added two images to msn 261, one to msn 265 and msn 266. Added one image to msn 82, msn 848 and msn 849. Updated PDF's for msn 77; 82, 218; 862; 863; 866; 867; and added msn 869; 870; 871 and 872. 14-Nov-2012 Starting on three more images for msn 266. 13-Nov-2012 Three images added to msn 265, and one more to msn 264. Two images added to msn 266. 11-Nov-2012 Four images added to msn 264. 10-Nov-2012 Three more images for msn 263, one image for msn 265. 08-Nov-2012 Two images to msn 262. 07-Nov-2012 Added revised PDF's and images to msn 860, msn 861 and an image to msn 866. 06-Nov-2012 Three images for msn 263. 04-Nov-2012 Four images for msn 261. PDF's up to msn 270 added. 03-Nov-2012 Added two final images to msn 259 for now, also twelve images for msn 260. Added one image to msn 867 and two to msn 868. 02-Nov-2012 Working on msn 259 again today. 01-Nov-2012 Two more images to msn 257. Two images to msn 258, and seven images of msn 259. 31-Oct-2012 Two images added to msn 257. 30-Oct-2012 PDF's up to msn 265 added. 29-Oct-2012 Back on track. Three images today for msn 256 and added PDF's up to msn 259. Added one last image to msn 254. 28-Oct-2012 No updates - taking a break. 27-Oct-2012 No updates - taking a break. 26-Oct-2012 16,000th unique visitor today. No updates - taking a break. 25-Oct-2012 Added two images of msn 866. Nine images also added to msn 255. 23-Oct-2012 Completed our run of Viking Air new builds, msn 861, msn 862, msn 863, msn 864, msn 865 and msn 866 are ready. Also added six images to msn 853. Added images to msn 82, msn 226 and msn 233. Updated PDF's for msn 194; msn 233; msn 238. 22-Oct-2012 New build Twin Otters today and tomorrow. msn 856, msn 857, msn 858, msn 859 and msn 860 are up. 21-Oct-2012 Starting to clean some images of msn 255. 20-Oct-2012 Final four images added to msn 253. Seven images added to msn 254. 19-Oct-2012 Three more images added to msn 253. 18-Oct-2012 Six images for msn 253 added. 17-Oct-2012 Added updated PDF's for msn 78, msn 208 and msn 242. Five images added to msn 252 and one to msn 253. 16-Oct-2012 Updated PDF for msn 163. Four images added to msn 250. One to msn 251. 15-Oct-2012 Updated PDF's for msn 234; msn 238 and msn 242. 14-Oct-2012 Continuing with msn 250. 13-Oct-2012 One more image added to msn 247, five to msn 249. One image to msn 250. Added PDF's for msn 250-255. 12-Oct-2012 Two more images added to msn 248. 11-Oct-2012 Added two images to msn 248. PDF's to msn 249 and msn 250. 10-Oct-2012 Added two more images to msn 246. Six added to msn 247. 09-Oct-2012 Added four images to msn 246. 08-Oct-2012 Five more images to msn 244. Thanksgiving day here in Canada. One image for msn 245. 07-Oct-2012 Four more images for msn 243, and starting on some for msn 244. 06-Oct-2012 Added two more images to msn 243. 05-Oct-2012 Two more images added to msn 242 and added one image to msn 243. 04-Oct-2012 Three images added to msn 241, and three images added to msn 242. 02-Oct-2012 A couple of additional images to msn 239 and four to msn 240. 01-Oct-2012 Added one image to msn 239. 1st Anniversary of Mike's passing. 30-Sep-2012 Added six images to msn 238. That's it for September. 25-Sep-2012 One image to msn 236, two images for msn 237 and working currently on some for msn 238 and msn 239. Added PDF's for msn 241-250. 23-Sep-2012 Six images added to msn 235. Two images for msn 855. 22-Sep-2012 Added four images and PDF data to msn 854. 21-Sep-2012 Added nine images and PDF data to msn 851 and msn 852. 20-Sep-2012 Worked on five images for msn 234. Added five images and PDF data for msn 849 and msn 850. 19-Sep-2012 Completed three images for msn 233. 18-Sep-2012 Five images were added to msn 232, moving on to msn 233. 16-Sep-2012 Three images added to msn 231 today. 15-Sep-2012 Four images added to msn 229 and msn 230, also added PDF's for msn 231 - 240. 14-Sep-2012 Working on msn 229 and msn 230 today. Updates to PDF's for msn 45;78 and 239. 13-Sep-2012 Resolved some PDF/jpeg graphic issues. Three more images to msn 228. 12-Sep-2012 Big day with our launch of the new build Viking DHC-6-400 series. Added msn 845; msn 846; msn 847; msn 848, and msn 857. Eighteen images added. 11-Sep-2012 Added images to msn 112;146;152;202;204;223. Working on msn 228 today. 10-Sep-2012 Added photo to msn 209. 09-Sep-2012 Five images for msn 226 added today, plus two of msn 227, also updated PDF's for msn 2;44;64;75 & 82. 08-Sep-2012 Finished msn 224 with nine images, also three added to msn 225. 06-Sep-2012 Added five images to msn 223. 05-Sep-2012 Added five images to msn 222, also additional image to msn 145. 04-Sep-2012 Statistics added 761 images now in TOA. Added PDF's for msn 226-229. 03-Sep-2012 Added image to msn 96 and msn 223. 02-Sep-2012 Added nine images to msn 221; Several revisions to PDF's. 01-Sep-2012 msn 220 now has seven images.